As the Star Trek: Discovery mid-season return arrives this Sunday, fans anxiously wait to find out where exactly USS Discovery and her crew are following a seeming breakdown of their super-human navigator in the mid-season finale. Have they traveled in time? Are they trapped in an spatial anomaly? Or have they crossed into a parallel universe, specifically the Mirror Universe well known in Trek lore? While the “where” question will likely be answered in the first moments of Sunday’s episode, the more gnawing questions of the “how” or “why” they’re where they have arrived may not be so readily answered. However, that hasn’t stopped the speculation on “who” is responsible for this unexpected journey, and many feel certain there is only one answer: Captain Lorca. But this fan disagrees and here’s why. 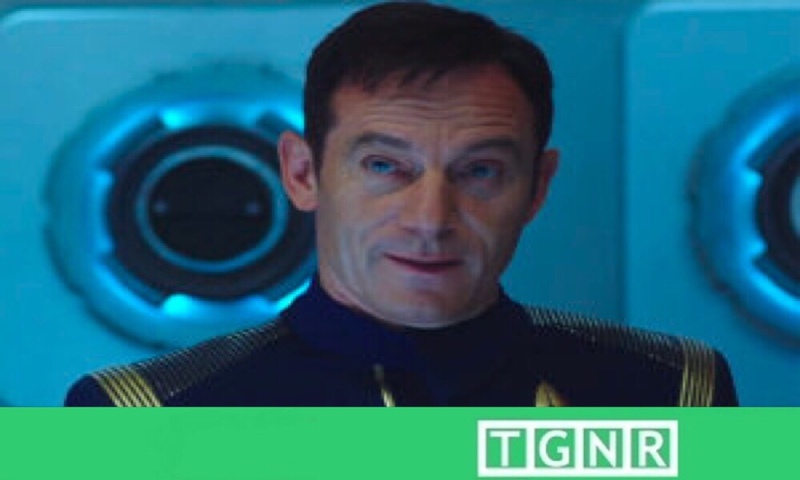 Gabriel Lorca is in every respect a Starfleet captain of his time. He is a Captain Archer-type without the naïveté, serving a Federation that is not established enough to give him (or anyone else, frankly) the smooth and easy diplomatic swagger of later captains in Starfleet. More importantly, Lorca is a studied warrior in the midst of a struggle against utter annihilation by an aggressive, nearly united Klingon Empire. This last fact has made fans look askance at Captain Lorca and is why the audience may hardly blink at the suggestion he would disobey orders to return to safe harbor and instead return to the battle. However, Lorca’s militarism is being judged through the lens of later eras when the Federation is more or less a galactic superpower at peace, where captains can more readily afford to be explorers first and soldiers second, or perhaps even third. Gabriel Lorca does not have that luxury as the Klingons continue to slaughter Federation ships and its citizens. What’s more, Lorca’s recent history demonstrates his dedication to his current and past crews, to the point that he chooses to endure daily pain and visual damage because he survived when the remainder of his prior crew did not. A man who punishes himself in this way does not immediately plunge his crew, who is only just out of harm’s way, and having just defeated the Klingon Ship of the Dead into uncharted space and untold danger. Lorca, for all intents and purposes, is not a sociopath. Additionally, some fans have theorized Lorca has brought Discovery into this unfamiliar realm of space because he’s not from the Prime Universe to begin with, but is in fact from the Mirror Universe itself. This is nonsense. Most of the argument for him being a Mirror Universe character stems from his war-like mentality previously addressed as appropriate for the current political climate of the Federation. Finally, to have Lorca originate in the Mirror Universe would undermine the key relationships the show has spent nine episodes building between himself and the crew of the Discovery. Lorca’s sudden removal due to an incongruous Mirror Universe subplot would leave Discovery – both ship and show – completely rudderless. The Evidence: A Smoking Phaser? The smoking phaser, if you will, in the argument accusing Captain Lorca of deliberately bringing Discovery outside of known space is a brief sequence at the end of “Into the Forest I Go” in which the camera focuses on the right-hand control panel found in the captains chair. Lorca appears to enter an alpha-numeric sequence on the screen. Next, the display shows a log list of the recent spore jumps, numbered, and followed by standard spatial coordinates. At the lowest line where the next jump entry would site, blinks “OVERRIDE – LORCA, G.” beneath which is the word “UNKNOWN.” Moments later after a spore drive jump goes afoul, the crew are left drifting in space debris where Starbase 46 should be, and are otherwise unable to determine their position by use of conventional sensors. At first glance, this sequence of events seems fairly damning to Lorca. The captain punches in his code to override the navigation’s coordinates and then the spore-drive jumps to the middle of proverbial nowhere; it’s simple cause and effect. A closer look, however, reveals that this quick scene communicates more than it seems. Some of the workings of Discovery’s spore-drive – the latest and therefore top-secret, propulsion method being developed by Starfleet – are kept fairly vague on the show. The sequence that is known involves the captain calling for a “Black Alert” condition on the ship, spore material is loaded into the drive in engineering, the spores release into Lieutenant Stamets’ navigational apparatus, and then the probes of said apparatus engage the interfaces on Stamets’ forearms. Stamets’ then navigates the mycelial network to jump the ship from location to location in a fraction of the time and energy it takes using conventional warp-drive technology. While the portion of the spore-drive involving Stamets’ and the mycelial network has been explored in more detail, the steps regarding all of the other ship’s systems during a “Black Alert” are left to the viewers imagination. That being said, to initiate the spore-drive, Captain Lorca may have to activate a Captain’s override every time. This is not uncommon in the Trek cannon to require authorization codes to access proprietary information or technology of which the spore-drive most certainly qualifies. Lorca’s command-code also may be required to override the on-board navigation computer to allow the spore-drive to control Discovery. In short, Captain Lorca certainly entered an override command on his console in the final scene, but what he overrode is not clear. Spore-Drive Gone Awry: USS Discovery The Federation Ship of the Damned? The “UNKNOWN” on the spore-drive log must be treated with equal skepticism. While many viewers believe this mysterious entry reflects coordinates entered by Captain Lorca on the alpha-numeric key pad, it perhaps points to something more foreboding. If part of the key sequence Lorca entered immediately before the log-line screen was in part spatial coordinates, why wouldn’t they still display on the log-line as coordinates, even if they were in unexplored space? He entered them manually; he didn’t ask the computer to interpret a trajectory or to map the location he input. In other words, there is no reason for the computer to translate the coordinates into an output such as “UNKNOWN”. The other more disturbing possibility remains that Lorca did input the appropriate coordinates for starbase 46, but the spore-drive generated coordinates of it’s own. Thus it returned to the computer which then registered as the “Unknown” log-line seen on Lorca’s right-hand console. This is actually showing the audience, in a quick flash, that something is going wrong – the coordinates he entered are not the coordinates the drive has taken them. A spore-drive behaving badly also fits with the surge from the spore-drive which triggers an exponential intensification of Stamets’ experience of the mycelial network, leaving him in a fugue state at episode’s end. As the Star Trek: Discovery mid-season return arrives, we must not forget the great dramatic irony of the entire series is the knowledge that this hitherto unmentioned propulsion technology has a dangerous unknown flaw. As the spore-drive no longer exists by the time Star Trek: TOS takes place, one assumes the technology must ultimately fail. As such, this may be the first instance of critical instability in the spore-drive. In this Star Trek: Discovery mid-season return, every fan must find the answers they seek in the details. As any excellent show, every portion on screen is of significance to the greater story. However, the belief that Captain Lorca has intentionally brought Discovery to an unknown time and space is extremely difficult to accept. For all intents and purposes, while Lorca hardly represents in whole any of the Captains in Star Trek lore preceding him, he does possess one very important common characteristic: the unquestioned devotion and implacable protection for those who serve under him. Lorca is not a monster, but he does fully understand and accept the dire circumstances for which all members of the Federation now face. The Star Trek: Discovery mid-season return can be streamed exclusively on CBS: All Access, debuting at 8:30PM on Sunday, 1/7/2018.